Ancient India Culture began with one of the first human civilizations, thousands of years ago! It's true; the ancient culture of India developed rituals, traditions, celebrations and beliefs that are popular in India Culture today. Not all Indian people share the same beliefs, and many different religions are practiced in India, but the fundamental cultural values are similar throughout the different states and union territories of India. The ancient Culture of India began more than 5,000 years ago with the Indus Valley Civilizations. The Indus Valley Civilizations of ancient India culture were named as such because they all began along, or near, the Indus River. There were several groups of native people in the Indus River Civilization, the most famous civilization is the Harappan Civilization. 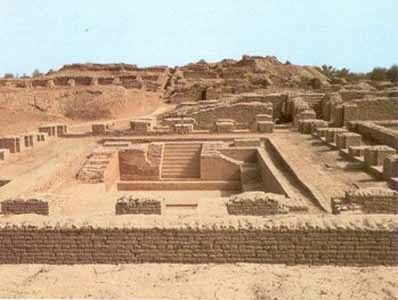 The Harappan people lived and flourished around the Indus River, in the western region of South Asia more than 5,000 years ago in what are modern day India and Pakistan. Times have certainly changed since then! Ancient India culture left clues behind for us. Indus Valley people, also known as Dravidians, discovered how to work with metals, make tools, and that they developed their own form of writing. According to historians, all transactions conducted between these ancient communities made through trade of food, tools and crafts. They seem to have had a somewhat peaceful social structure, which changed with the invasion of the Aryans. The above map shows you one the Indus Valley Civilization sites in modern day India and Pakistan. The ancient culture of India changed with the arrival of the Aryans. These nomadic people introduced the caste system and changed ancient Indian society. Sometime between 2000 and 1500 BC, these nomadic Indo-European migrants, arrived in the Indus Valley Civilization and changed ancient India culture. These war-like Aryans dominated the civilizations and enforced a new social structure over the indigenous people. The Aryans traveled in clans and settled in different areas of northwestern India. These clans were called Ganas, meaning a collection of people. Each Gana had a chief and when he died, he would pass his power to his next of kin. The power was generally handed down to a son. Over time, the Aryan people procreated with the indigenous tribes and became part of the societies. Because the Aryans migrated from the north and settled in with the northern societies, many northern Indians today have a lighter complexion than those living further south in areas that were not dominated by the Aryans during ancient India culture. 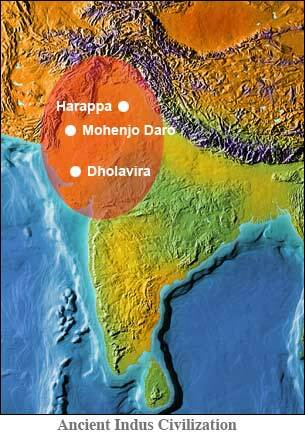 These new ancient, hybrid civilizations were called the Vedas Civilizations. They were an important part of the ancient culture of India. The Aryans implemented a new social structure. People were assigned different social rankings and roles based on where the chiefs and their priests ranked them in the social structure, later to be referred to as their caste. In a caste system, your social status directly determined what duties you were responsible for in your society. If you were a priest, or Brahmana, you were in the highest class and did little to no hard labor. You would be considered a leader or religious leader. If you were a Kshatriya, you were a noble warrior, who protected your civilization. A Kshatriva was like a member of today's army. If you were a Vaishya, you were considered service class, and worked in agriculture, or provided service to a higher caste member. If you were a Shudra, you were in the lowest class. The Shudras, unfairly, performed dirty jobs. They removed trash and cleaned the messes of others. During India's Vedic Age, Indian art developed in a number of ways. Symbols of animals, like bulls, cows, and goats were drawn and came to be considered important. Sacred hymns were written in Sanskrit and were sung in prayer. These hymns were the start of Indian music. Some key writings were created during this era! People developed a collection of religious poems and sacred hymns. Leaders wrote them to help guide the beliefs and values of the people. These Four Vedas were composed in about 1500 BC. The word Veda means knowledge. The Vedas include writings known as the Rig, Sama, Yajur, and Atharva Vedas. They were so important in fact that the era of ancient history from roughly 1500 BC to 1000 BC is called the Vedic Period. Around 1000 BC, the Aryans began writing two important epics known as the Ramayana and the Mahabharata. We know about daily life during this period because of these famous writings. We have learned about Aryans, Vedic life, wars, and accomplishments from them. Music and dance developed significantly throughout the ancient culture of India. People invented and used instruments, similar to a bass guitar to keep the rhythm of songs. Dancers wore elaborate costumes, exotic make up and jewelry, and they often performed in temples and in royal courts. Hinduism began in the Vedic Age in the form of a religion known as Brahmanism. Priests developed and used their newly developed Sanskrit writing and created a 4 part Vedic Text set. These four texts were collections of hymns, formulas, spells, incantations, stories, predictions and charms, which are still held in high regard today. Ancient India Culture developed into what is referred to as traditional India culture. Traditional culture refers to the practices fused into the everyday family life of the Indian people and influenced India Culture Today.The culture of ancient India developed and influenced nearly every aspect of this beautiful country. Leave ancient India culture to explore modern India culture. Discover fun facts about India! Learn about Gandhi; the Father of India. Visit our hompepage to discover more of India.